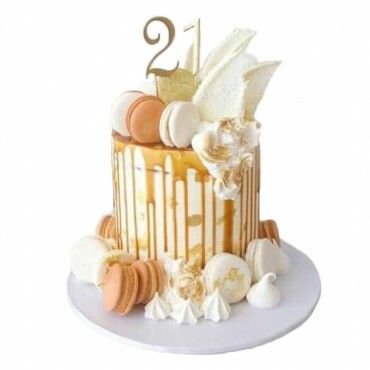 Our divine Luxury Caramel Drip Cake is one cake that will certainly get the taste buds going. A delicious mud cake, decorated with a vanilla buttercream and an decadent caramel drip. Each cake is decorated with a selection of Macarons, yummy meringues and chocolate shards.